They’ve gone and done it again. If you didn’t think the Nutriganics Range could get any better… it has! The Body Shop have launched some amazing products to kick start 2015, along with overnight masks and a whole new body care and makeup range. 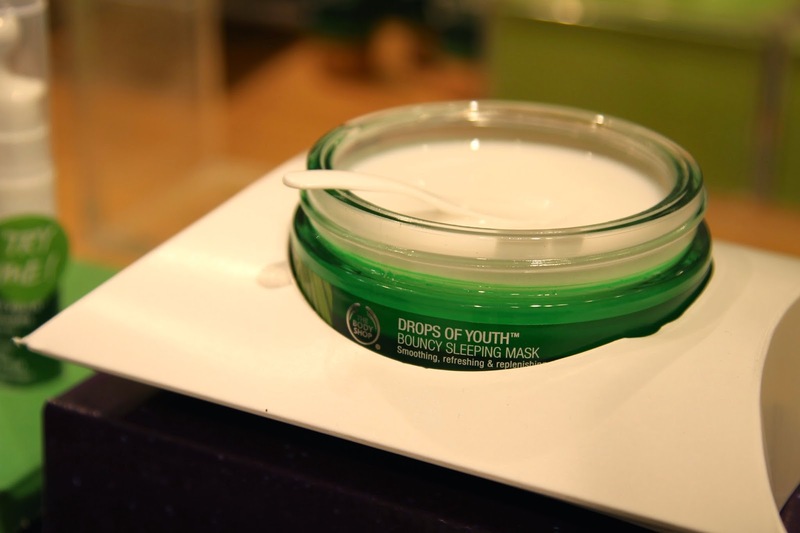 The Body Shop never fail to launch popular products that are perfect for everyone and all ages. 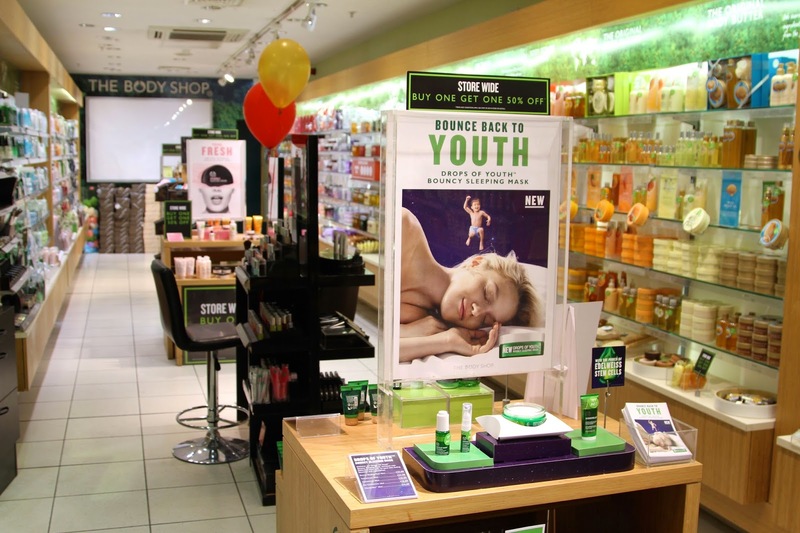 Last week, I was invited with Megan from Thumbelina Lille, to The Metro Centre in Gateshead, to learn about the new products from The Body Shop. After being greeted by the lovely staff there, they talked us through what they have new to the store. 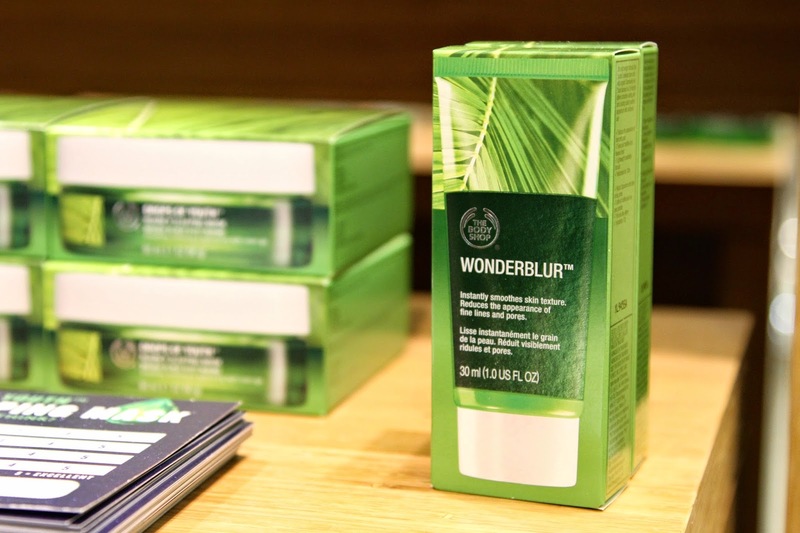 Firstly, we were blown away by their new Nutriganics products, the Drops Of Youth Bouncing Sleeping Mask, and their new Drops of Youth Wonderblur. These two products fit perfect into anyones skincare routine night and day. For example, the light weight pore minimising Wonderblur formula is perfect to use on a morning, over pores or as a primer before makeup. 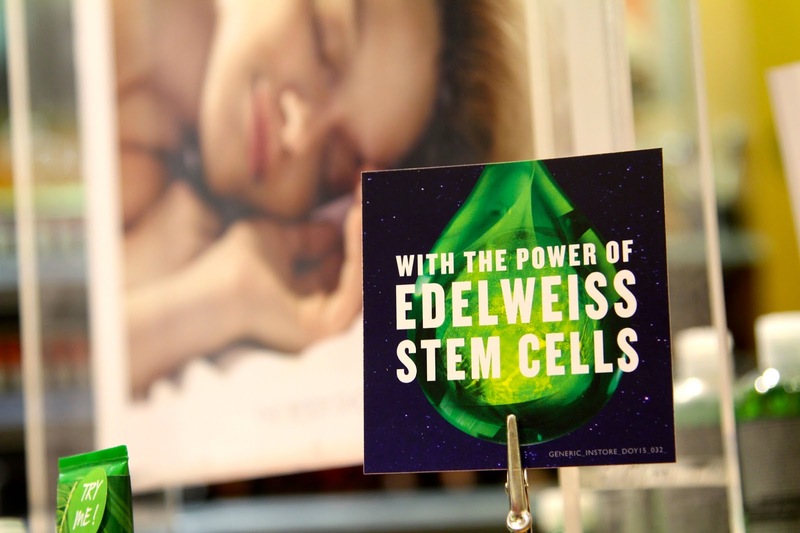 It gives 12 hour hydration with Edelweiss Stem Cells to tighten and smooth skin. It instantly takes away the appearance of fine lines and wrinkles especially around the eye area. Moving on to the Bouncing Sleeping Mask, this is used just before bed. On application, you massage it around your face and leave on over night to instantly hydrate and protect whilst you’re asleep. I absolutely love this product! You hardly need to use any to give a perfect coverage of your face, and it straight away gives a relaxing cooling sensation sending you right off to sleep! In the morning your face feels plump and refreshed. Next is the New Smoky Poppy range. There is literally everything in this amazing scent. Shower Gel, Body Oil, Body Butter, NEW Bath Bombs, Fragrance, Makeup and a very cute, poppy shaped brush. This scent is unlike any The Body Shop have launched before, it has a musky, woody smell to it that is very feminine yet masculine at the same time. The bath bombs are literally my favourite part of the collection, they melt away into the water unlike any other, and leave no bits or stains in your bath once you’ve drained the water. BONUS! Unfortunately these aren’t available to buy yet, but pop down to The Metro Centre and they are available to try, it is well worth the visit. Thank you so much to all of the Body Shop staff for the amazing experience. Get yourself down there to meet and talk to the team about their new 2015 products! Next Post Sometimes Blogging Gets Tough.